King Rastakhan is an ancient ruler who is not quick to trust new allies. We must earn his trust if we are to earn his fleet. Zuldazar is the seat of power for the Zandalar empire and a good plae to start in winning over these potential allies. 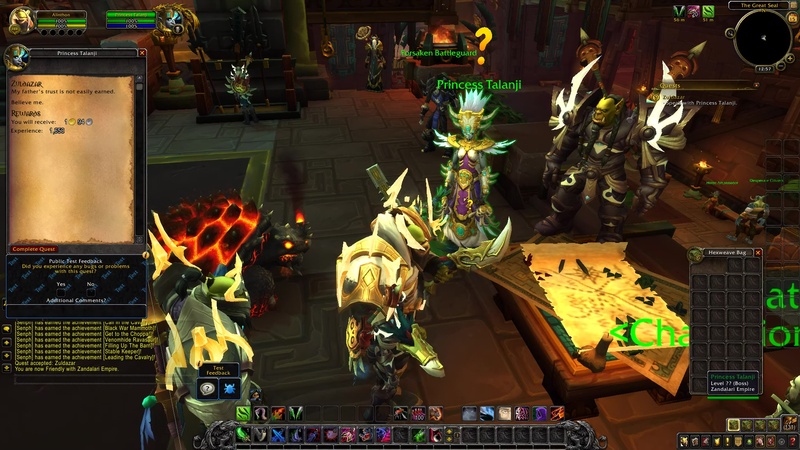 At the moment in Alpha the Horde starts at the Great Seal. 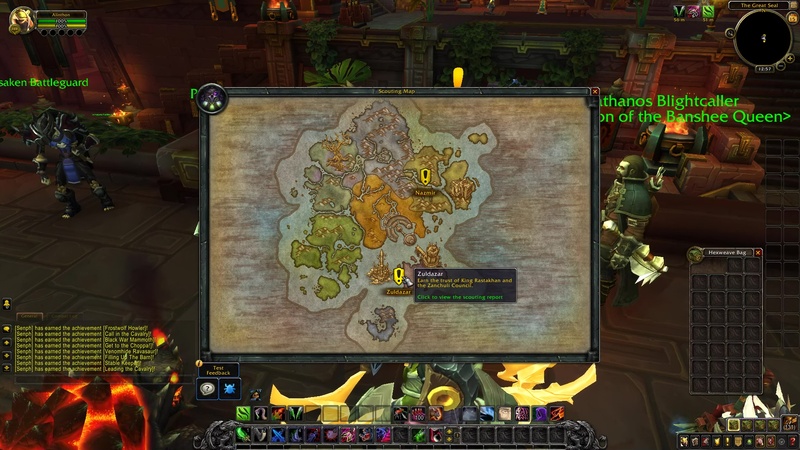 A map on the table has two options: Nazmir, and Zuldazar. In this instance, I picked Zuldazar. My father’s trust is not easily earned. Believe me.